Are you an RPN or RN with experience in the field or are looking to expand your skill set into a new field? A career in foot care enables you to set up a flexible full-time or part-time schedule by allowing you to set your own hours, on your own terms. check out our Partner Business FootPrint for course description and Info. TiredSole™ will be working with an amazing online host to deliver the most up to date education sessions for nurses interested in advancing their careers as Advanced Diabetic Foot Care Nurses ( Next Class April to June 2019) Includes online theory, text book and hands on clinical days as well as how to be an independent contractor. ( May 18th and 19th ) book on line to save your spot !!! Are you currently working as a foot care nurse and would like to learn more or upgrade your skill set – we can help! You can Merge into Our Hands on Clinical Application Days, for 2 days of skills and gain the knowledge of the new National Competencies to be sure your providing your patients with the current Standards in Advanced Diabetic Foot Care. Want to ensure your facility is providing Gold Standard Care? TiredSole™ is able to put together foot care training and workshops for your PSWs and nurses. 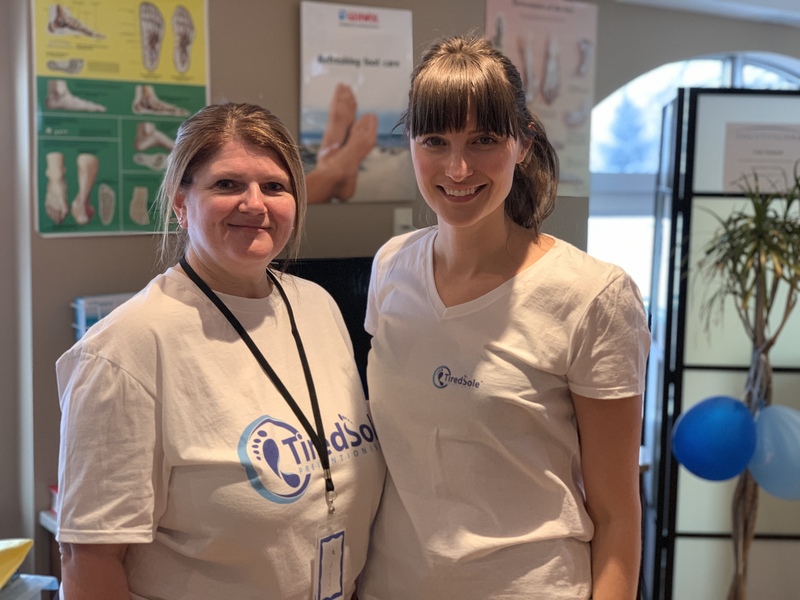 TiredSole™ provides information sessions and presentations for Retirement Residences and (Community) Senior Centres on foot care health, maintenance and infection prevention. Our goal is to help everyone live their best lives!